Executive Chairperson of KPMG South Africa, Wiseman Nkuhlu pens open letter to South Africa calling for renewed public trust. Embattled audit firm KPMG South Africa has said it is now "a very different business" to what it was 18 months ago, as it appeals to the public for renewed trust. In an open letter to South Africa published in Sunday newspapers, Executive Chairman Wiseman Nkuhlu said the firm, embroiled in various auditing scandals for work relating to Gupta-related entities, the South African Revenue Service and VBS Mutual Bank, admitted that regaining public trust wouldn't happen overnight. "KPMG had made a number of serious mistakes and lost the trust of the public and clients. We had lost sight of our responsibilities to serve the broader public interest, and not only our own commercial interests and those of our clients," he wrote. "The renewal of the firm required that we understood what has gone wrong in the word we did for the Guptas, SARS and VBS," added Nkhulu in the letter. In October, a damning report into the looting of VBS Bank found that former KPMG partner Sipho Malaba knew about the nearly R1bn cash shortage at the bank but signed off on its financials anyway. "What happened at VBS was shameful, not least for considerable distress caused to customers of the bank," said Nkuhlu. In September 2017, KPMG withdrew its findings on a report into the South African Revenue Service (SARS) so-called "rogue unit". The firm has pledged to distribute the R47m it earned in fees from Gupta-linked firms among civil society. Nkuhlu said he was "under no illusion" of the challenges faced by the KPMG when he joined the firm in March. The firm said the events of the past few years had led to numerous changes, which include improved integrity and quality control "as well as sanctions for failure to meet the requisite firm and professional standards". "We know we made mistakes and we will accept responsibility, as appropriate, for our misdeeds," he said. "I realise that regaining public trust will not happen quickly. Understandably, people will want to judge KPMG not just by its words, but also by its deeds." Nkuhlu said KPMG would soon receive the report of an independent inquiry led by Advocate Dumisa Ntsebeza into the work conducted by the firm for companies linked to the Gupta family and on the SARS report. 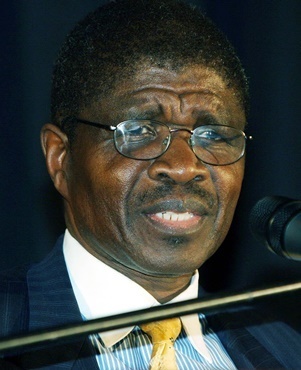 "His judgements will surely be unsparing," said Nkuhlu, who also stated the firm’s commitment to appear before the Zondo Commission into State Capture. The questionable auditing conduct involving the firm led to an exodus of major clients, as well as the resignation of former CEO Trevor Hoole in September 2017. Hoole was replaced by Nhlamu Dlomu, who also resigned in October this year to take on a new global role. Her replacement, Ignatius Sehoole, is expected to take up the position on May 1, 2019.